Latin for 'similar to the genus Elaeagnus '. Aglaia elaeagnoidea var glabrescens Valeton in Hochr. Aglaia lepidota var. paupercula Miq. Aglaia roxburghiana var. paupercula (Miq.) Miq. Aglaia spanoghei Blume ex Miq. Dense and moist forests in valleys and mountainous regions, ravine rain forests, evergreen broad-leaved forests; also in secondary forest, deciduous forest, along beaches, river banks, and in Barringtonia formations on sand, granite, coral and limestone. Found from sea level to 1500 m elevation. 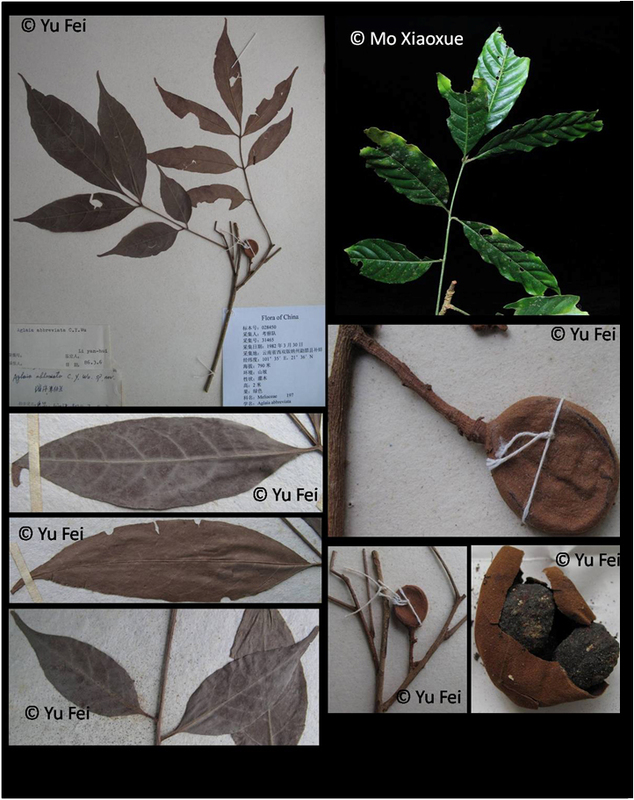 Very widespread species occurring from India and Sri Lanka to southern China and Southern Taiwan to New Guinea, Australia and the western Pacific.